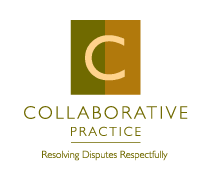 April Network Lunch - Collaborative Family Law Group of NE FL - Collaborative Divorce, a better way Collaborative Family Law Group of Northeast Florida, Inc. Presentation: Laura Giovannetti, Esq. will discuss the status of the draft Administrative Order for Collaborative Family Law. Judicial candidate Daniel Hilbert, Esq. will address his campaign for Family Law Judge in Saint John’s County. Mr. Hilbert is a Board Certified Criminal Trial Lawyer with Canan Law, P.A. in Saint Augustine, Florida. Prior to going into private practice, he was an Assistant State Attorney in the 7th and 4th Judicial Circuits. Mr. Hilbert currently practices litigation in a variety of areas of law, to include family law and civil litigation, but focuses most of his time on criminal trial law. In February of 2019, Mr. Hilbert formally announced his candidacy for Circuit Court Judge seeking election to retiring Judge John Alexander’s Family Law Bench in St. John’s County, Florida. ﻿PLEASE RSVP BY REGISTERING BELOW SO WE HAVE AN ACCURATE HEAD COUNT.